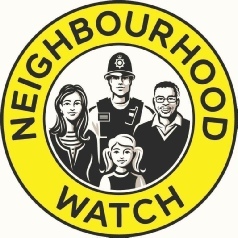 Stithians Neighbourhood Watch is part of a National Neighbourhood Watch body which provides information and support to the local operation. Locally the service is operated entirely by volunteers. We try to share information relating to local, county and national issues as it is received from various sources. The main method of sharing is via our Facebook Page (see below) and our eNewsletters which are issued approximately monthly. Please use the navigation bar above to move around the site. Our most recent Facebook Messages are shown below. Like and follow us on Facebook to keep up to date. If you require Police assistance you should dial either 999 (emergency with immediate need of assistance such as crime in progress, risk to life and limb or perpetrators in the area) or 101 (non-emergency but needing police assistance such as to report a crime that has already occurred). Alternatively you can report non urgent issues by email to 101@devonandcornwall.pnn.police.uk See the report it link above for other bodies that receive community reports. Stithians community is part of the Falmouth Police Area and is currently grouped with Penryn Town, Mylor, Flushing, Perranwell, Gwennap, Ponsanooth, Mabe, Budock, Mawnan and Constantine local policing team. Click here to visit the team page. Stithians Neighbourhood Watch is accredited on the National Our Watch site click here for information. You can subscribe as an individual on this site and get their very useful e-mails with details of the latest scam and fraud activity. 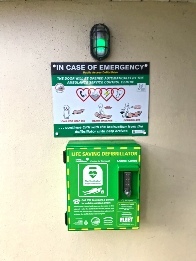 Click here to visit the dedicated pages for our defibrillator including a video on how it is used.